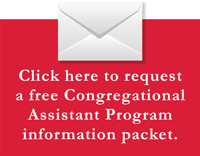 What is a Congregational Assistant? A Congregational Assistant is a called worker who works within his or her own congregation assisting the congregation and its pastor in various areas of service. There are many areas of service to which an assistant can be called. The work an assistant may do mainly depends on the needs of the congregation and the talents of the worker. Some of the areas of service that assistants have been called to include outreach and evangelism, senior ministry, youth and family ministry, adult spiritual growth, assimilation, visitation ministry, and mentoring and coordinating volunteers. An assistant call could take the form of a volunteer position, a part-time salaried position, or a full-time salaried position. Because calling bodies may find needs for assistants of either gender, the program is open to men and women alike. One strength of the program is that students are able to serve while they are studying, and what is learned can immediately be applied in the local setting. The mission of the Congregational Assistant Program, under the guidance of Martin Luther College, is to assist pastors and staff ministers in training qualified and confident leaders in their Wisconsin Evangelical Lutheran Synod (WELS) congregations. CAP provides a range of biblical and practical courses available to all WELS members to help them grow in the grace and knowledge of our Lord and Savior Jesus Christ. CAP also encourages and supports WELS members as they discover and develop their God-given talents and abilities to serve others and to glorify God in the church, community, and the world. Nine of the twenty assistant courses are taken from the former WELS Curriculum for Congregational Service and Outreach. These courses are useful training for all congregational leaders. Taking these courses may also increase a leader’s desire to serve in the public ministry as an congregational assistant, staff minister or pastor. If a student begins taking the courses with a desire to become an evangelist, it is strongly encouraged that the practical courses in evangelism also be started from the very beginning so that it can be seen whether the Lord has given the necessary gifts for outreach. The sample charts give scenarios for completing the program in three years, four years, and five years. 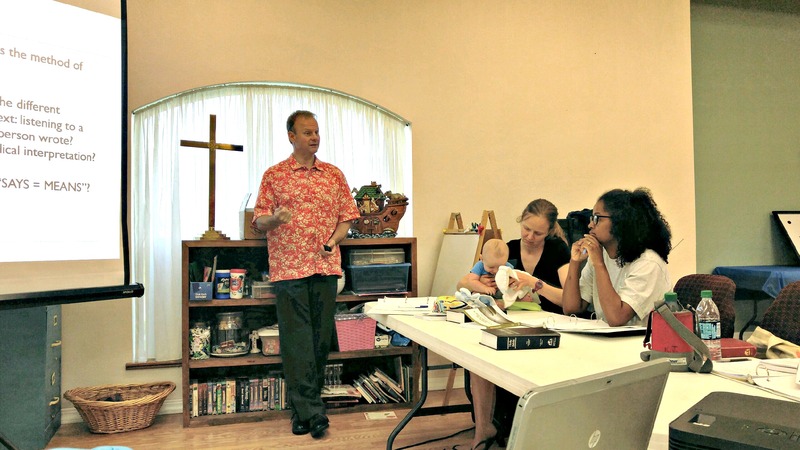 The majority of the courses are taught by the student’s local pastor or called worker, and they are often scheduled as part of the congregation’s offerings for adult spiritual growth; this minimizes the additional work of the called worker and expands the variety of opportunities for nurture within the congregation. Where there are interested individuals and congregations in geographic proximity, pastors are able to take turns and share the teaching load of the courses. Some of the courses can also be taught by an outside instructor as weekend seminar. The final component of the program, the only element that is not offered locally, is a 10-day CAPstone Session split between New Ulm, Minnesota and Milwaukee and Mequon, Wisconsin. Students typically participate in CAPstone after completing the other program requirements over a three or four year period. The assistant courses do not earn credit toward any other form of synod certification except the Pastoral Studies Institute of Wisconsin Lutheran Seminary. The only cost for the courses is the cost of the books and materials. The cost for one complete set of materials is under $100.00. The materials may be purchased from the program administrative assistant. For the two-week CAPstone Session there is a minimal fee for the courses taught, a fee for room and board, and whatever the student’s transportation costs might be. Hosting a one-day seminar requires a $300.00 fee from the host congregation and $10.00 from each participant. Congregations may work together and co-host a seminar and share the $300.00 fee. Since the assistant position is a form of local ministry, each local congregation and pastor will approve candidates for the program. Materials are made available through the program administrative assistant. The program is under the supervision of Martin Luther College.